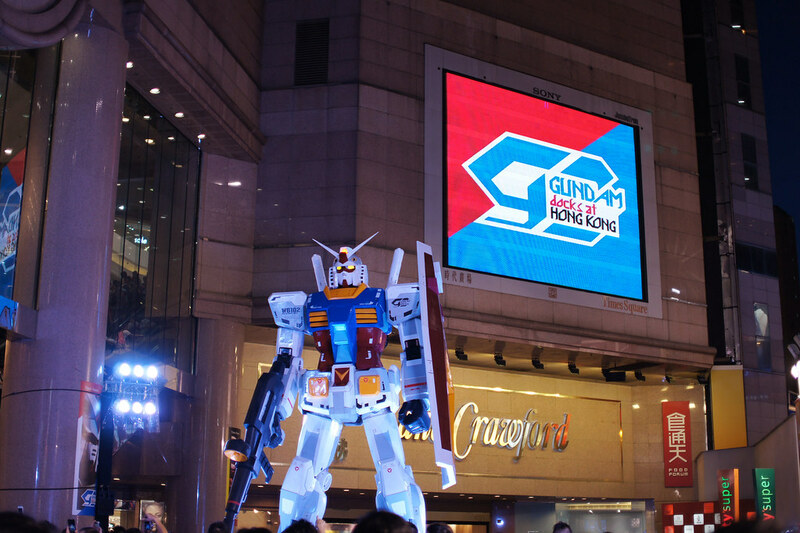 The “Gundam Docks at Hong Kong” exhibition is now take place in Time’s Square Hong Kong, from 24 July to 1 September. 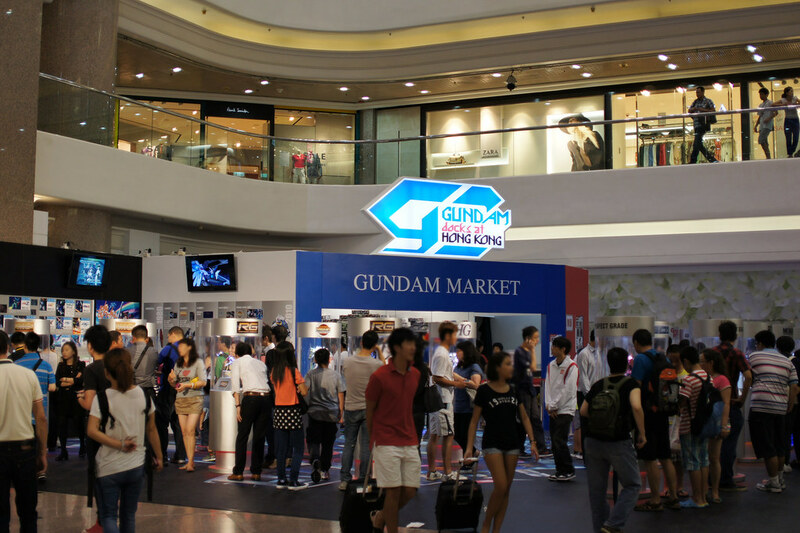 1/3 Gundam and Zaku statues are the spot-light of the event, together with an army of 1/12 RG Zaku, Gunpla exhibition and souvenir corner. 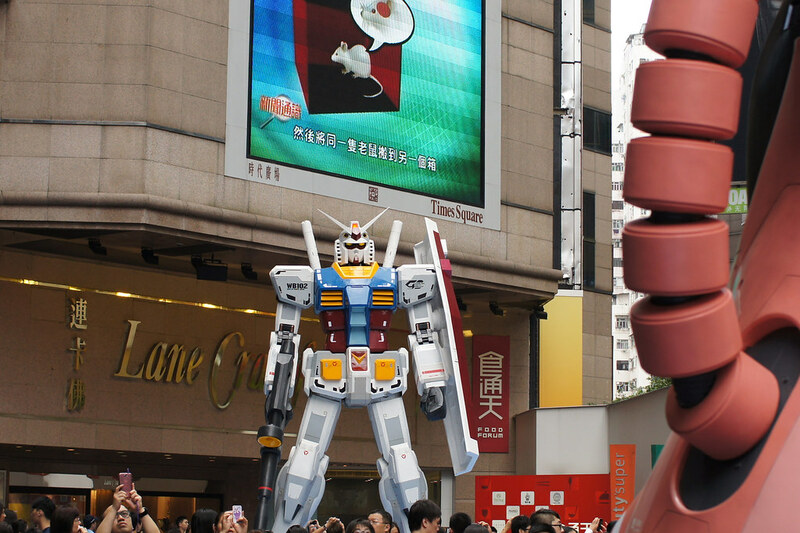 An unusual object placing on everyday scene looks fresh and funny. 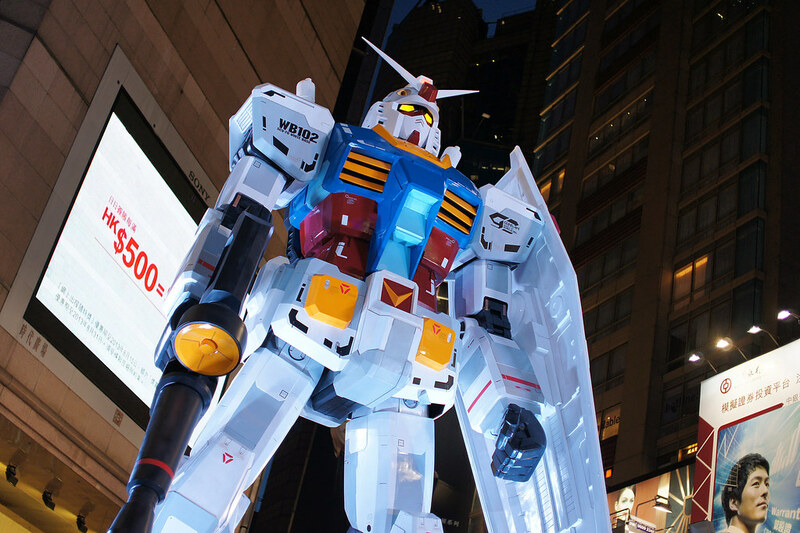 While the size can’t compare to the 1/1 Gundam which I saw in Odaiba Shiokaze park, it is still quite large. 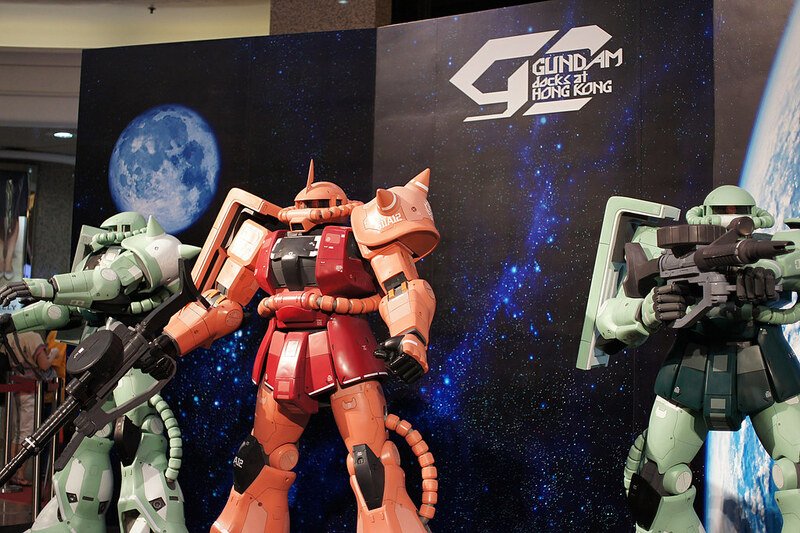 Char’s Zaku in this size looks great. The Mono-eye in LCD panel is moving. 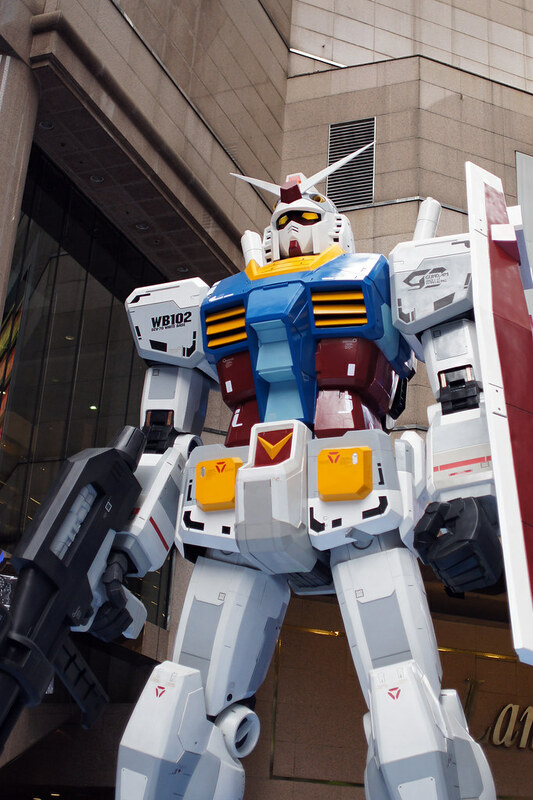 Gundam also looks better then expected. 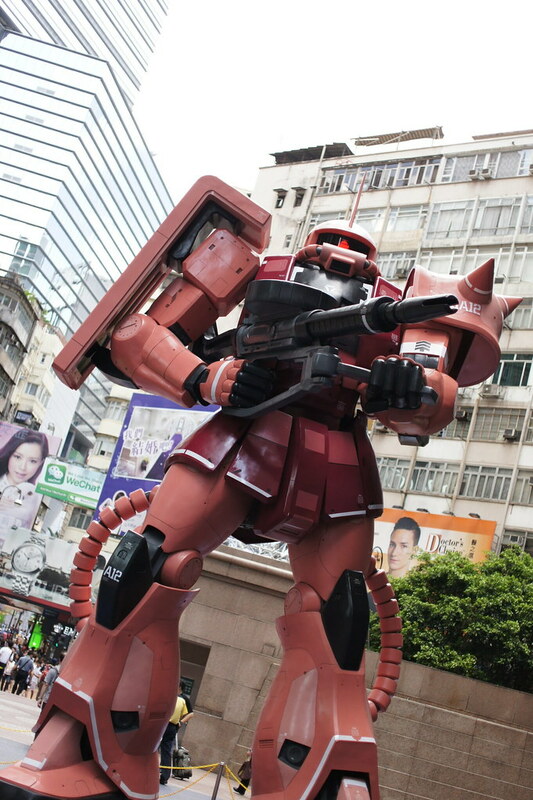 1/12 Zaku in RG detail. 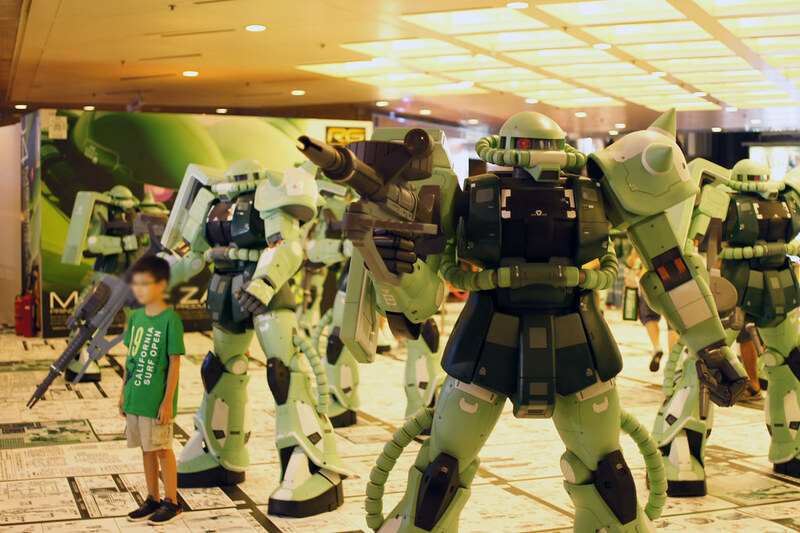 Its totally different from the HY2M 1/12 Zaku. 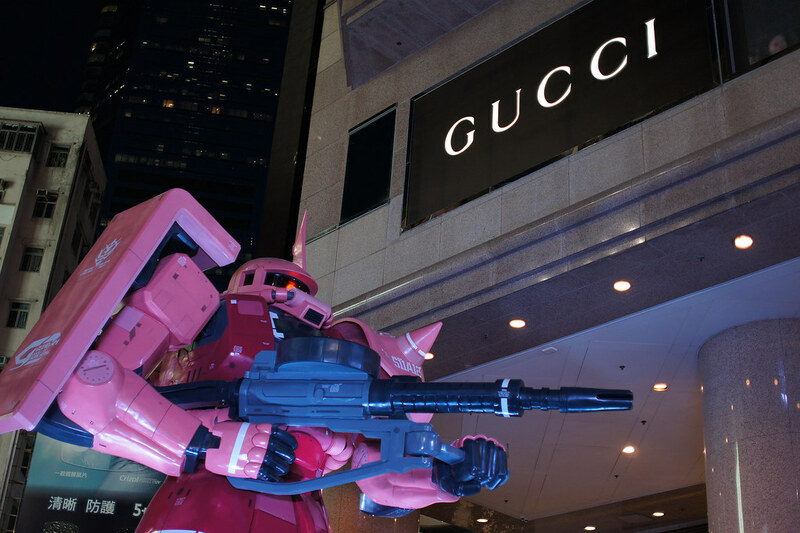 Gucci and Zaku…Isn’t the brand matches with Char? 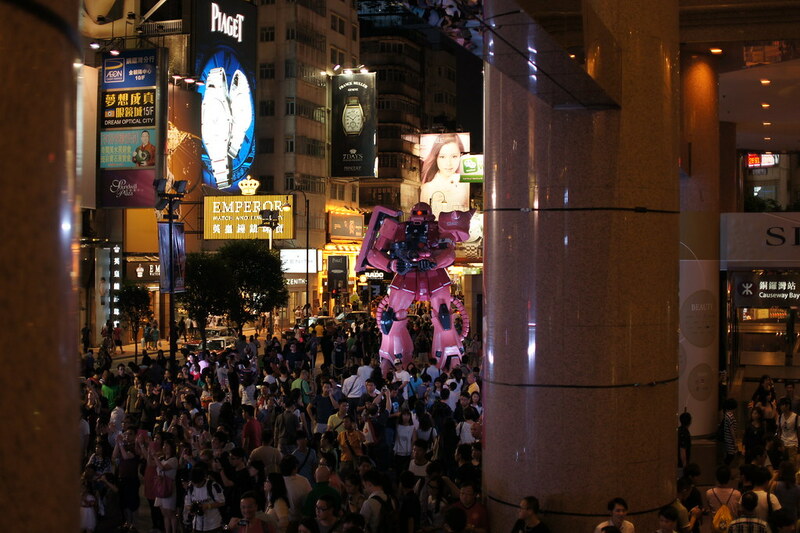 Gundam at night looks even better. 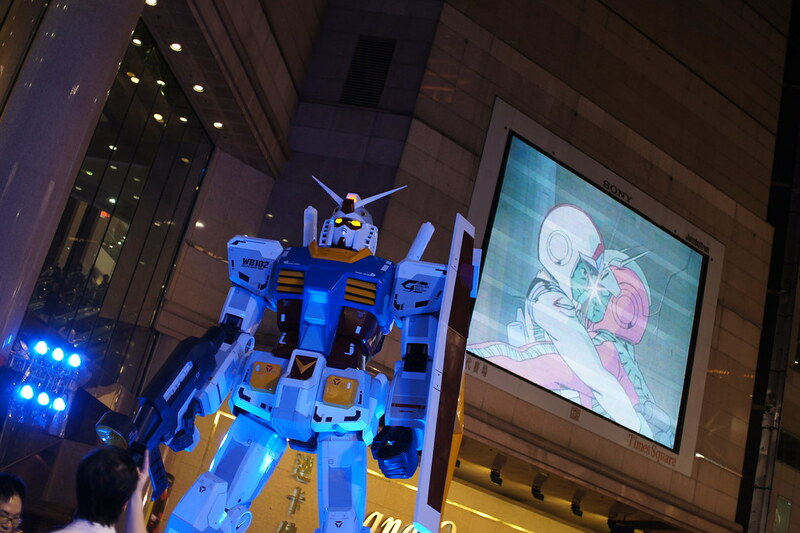 There are brief introduction of Gundam stories on the screen. Heading to 2/F. 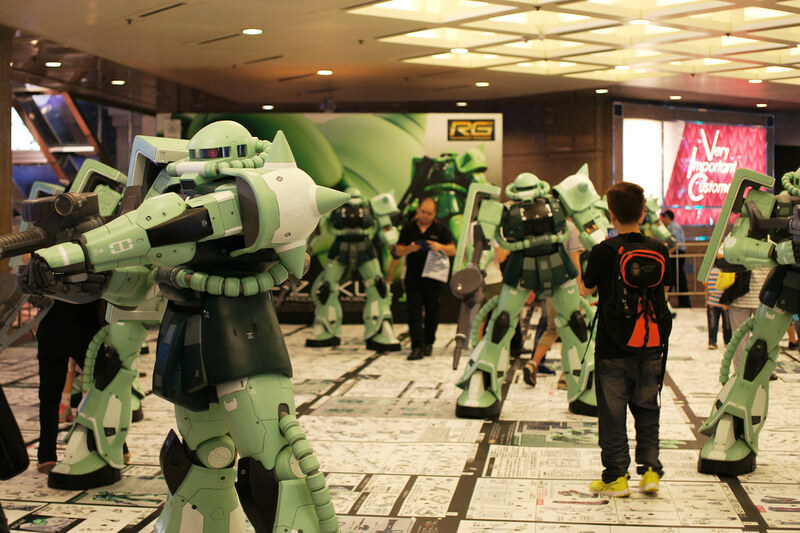 There are 3 Zaku(s) for photo taking. 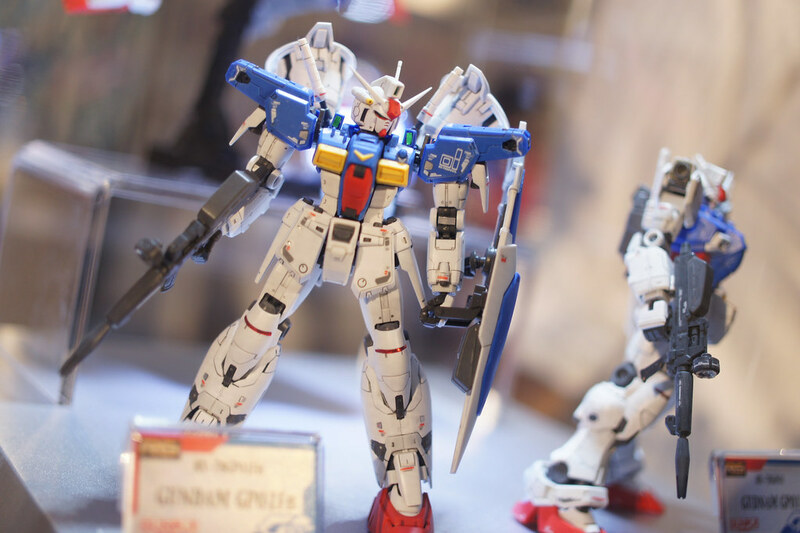 Showcase with the brand-new RG GP-01fb and MG Gundam 3.0. 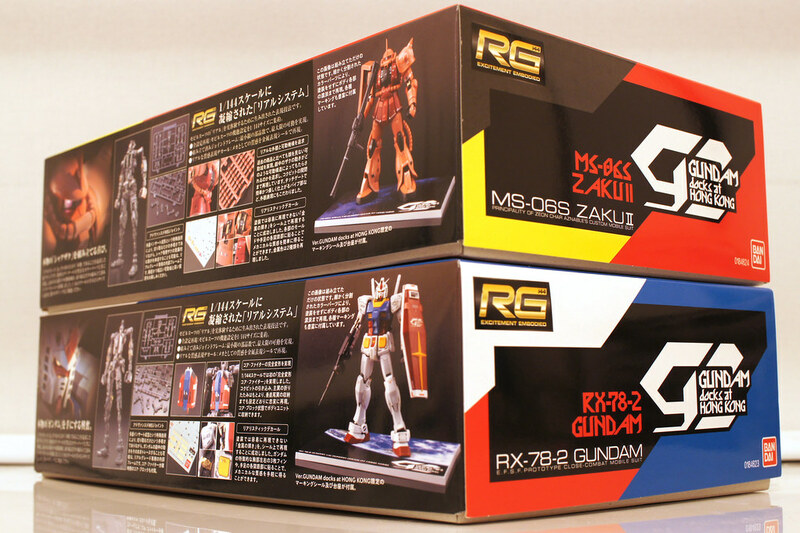 I got the limited edition RG from the show, and I hope I could build it sooner. 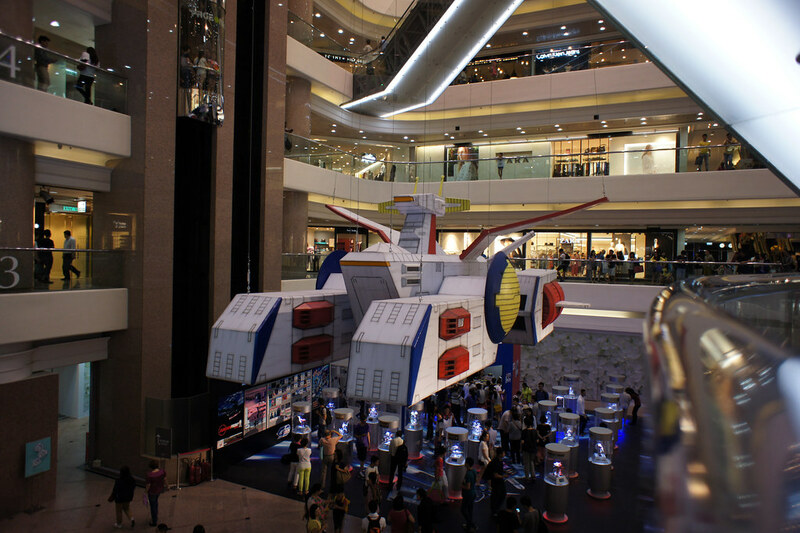 Thats all for the Gundam Docks at Hong Kong. 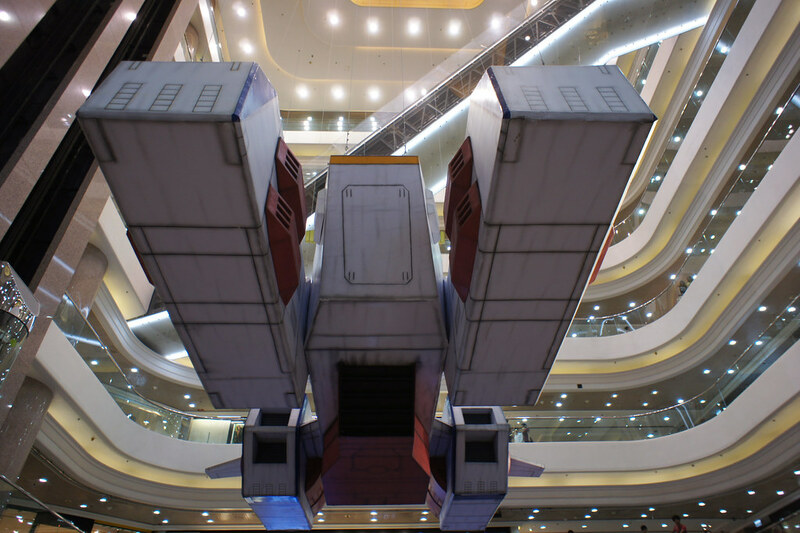 The Whitebase have just take-off inside Time’s Square shopping arcade. 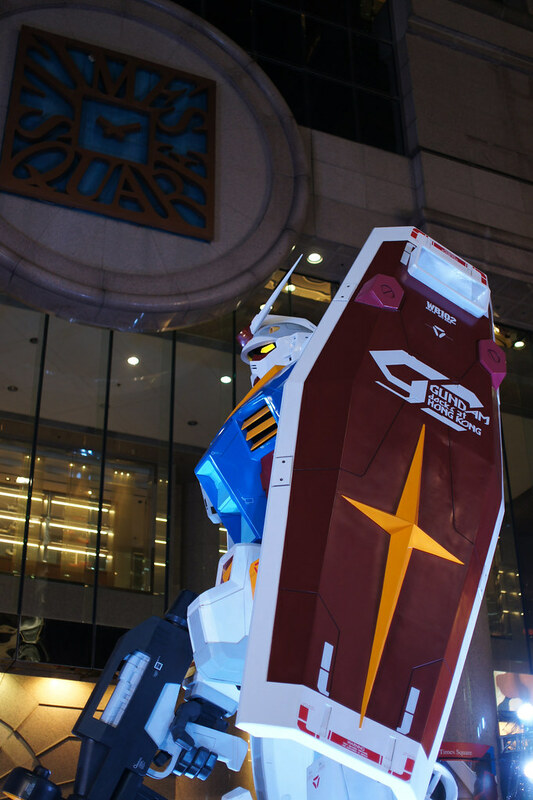 Though it is 2 weeks later than Gundam and Zaku, It is finally finished for display. 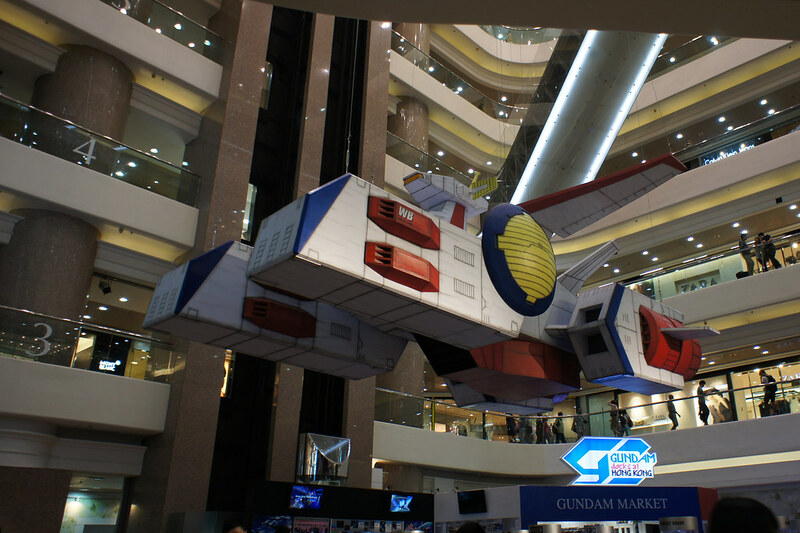 It might be nice if there were MS in same scale on WB’s catapult. One more outdoor photo as the weather is nice. 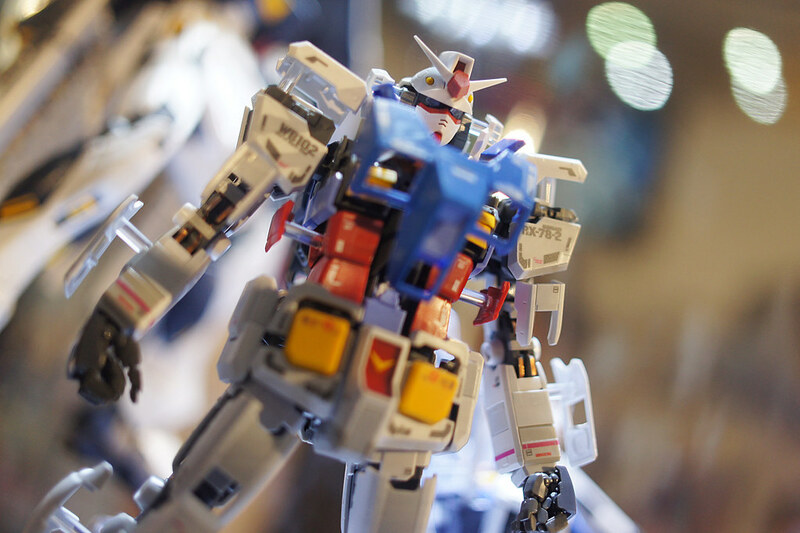 Will come again when I have time. 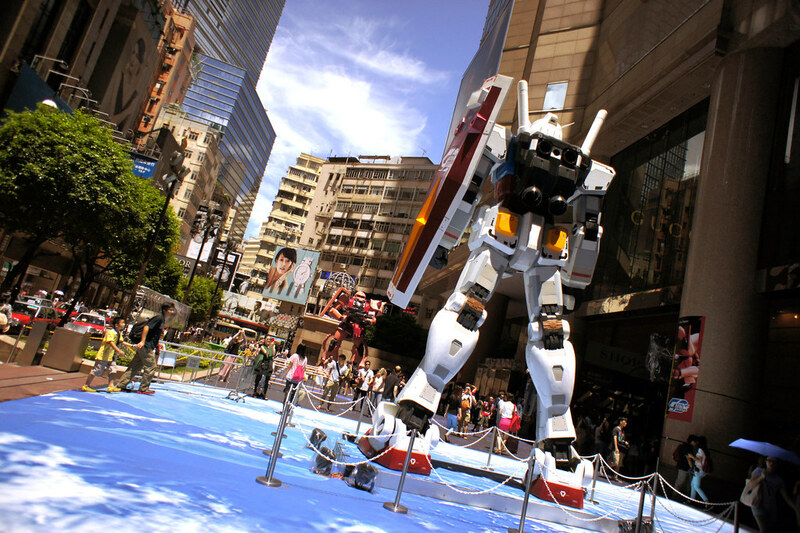 I went to visit the Gundam and Zakus before the White Base was up. 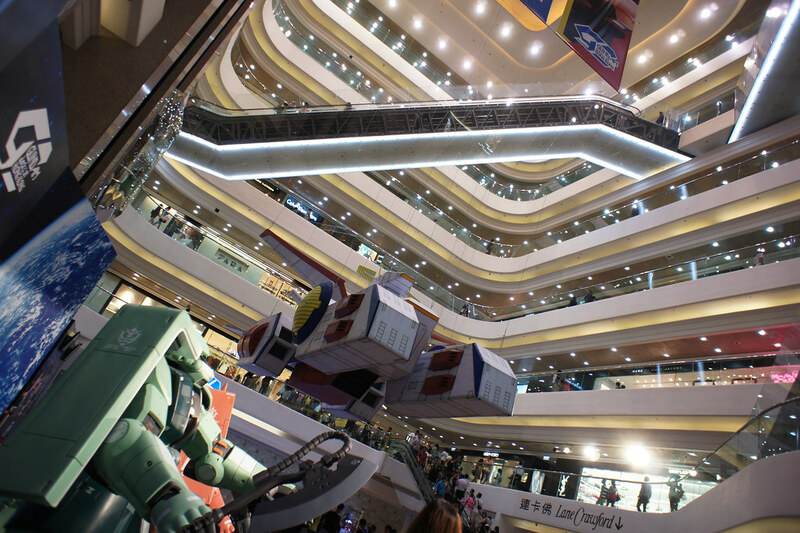 Gotta visit it agian soon! 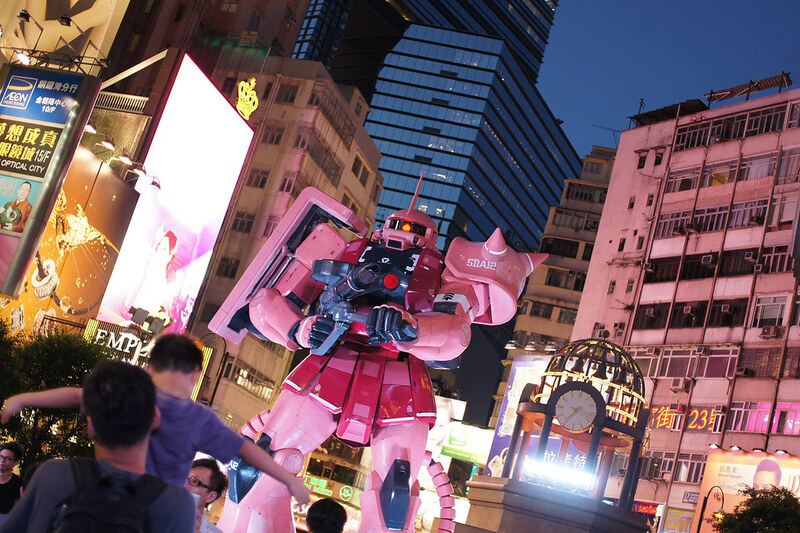 I just heard that Tomino Yoshiyuki will come to Hong Kong in 24 August! It is a great surprise! 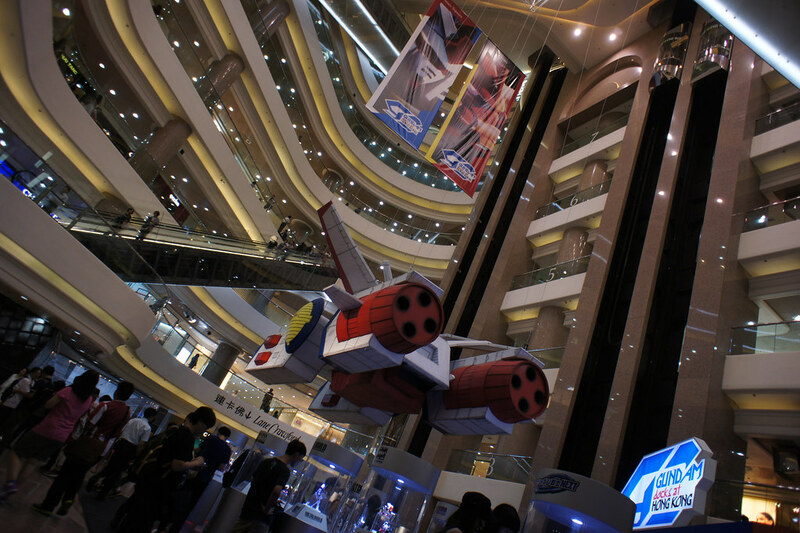 The organizer have put much effort on the event, and I also hope more to come to HK in the future.